Rokit’s first attempt at a smartphone has resulted in a perfectly serviceable device, but the 3D-capable screen compromises normal use. Do people want 3D content? 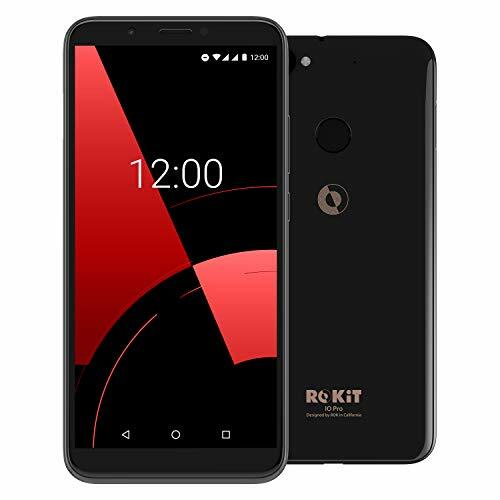 Rokit is a new entrant to the phone market but it has already announced a few feature phones plus two new smartphones including this $300/£250 handset. It’ll be available to buy from Amazon in the UK or Walmart in the US. The IO Pro 3D’s unique selling point is its capability to show glasses-free 3D footage – Rokit has developed its own 3D catalogue using content. The content is a mix of stuff that's been bought in as well as original content created by Rokit teams in France and Los Angeles. Rokit has also developed a player to showcase it which is pre-installed on the devices - the Rokflix 3D app. Can Rokit really make a splash using 3D as a hook? The jury's out on that one - the 3D content we've seen so far has impressed, but is 3D viewing mainstream enough to convince users to buy a Rokit device to view it on? Given the experience with 3D content elsewhere - not least in cinema but also from broadcasters - we have to say we're not convinced. What’s of more interest is whether this phone could be a serious contender in the saturated budget segment and the services that Rokit is launching alongside the phone. In the US, the phones have access to health services such as a doctor over the phone and discounted prescriptions as well as legal support. In the UK you get several "Life Services" including access unlimited UK and International Wi-Fi calling, personal accident insurance and keycare. It’s debatable whether the UK audience will think It needs those services, but in the US the access to healthcare is surely a winner. Various price plans and benefits are available, but all the US phones have access to health advice free for a year. Rokit is also bundling a Wi-Fi calling app with the device which offers free calling for a year – that’s a bit of a take-it-or-leave-it for us, but it will appeal to some. Those services are more interesting than the play for 3D in many ways. The IO Pro 3D is a smart, if utilitarian, device. It’s a bit plasticky, but for its price point it doesn’t feel out of place. It’s an upper budget phone, after all. The 5.99-inch 2,160 x 1,080 3D screen is a problem as it compromises this handset for normal use – because it’s been prepped for glasses-free 3D, some areas of the display can seem dark, say when reading a white webpage. The display just doesn't seem that bright. Viewing angles aren’t great, either. Otherwise the specification is OK, with dual-SIM, 64GB of storage, 4GB of memory, a fingerprint sensor on the rear and an octocore processor from Mediatek that’s been spotted in a few mid-range other devices from Chinese manufacturers. If you look at similar phones – say the Moto G7 or Honor 9 Lite – the Rokit’s specs aren’t out of place, but there are many options available around the 200-300 mark. Rokit also has a smaller ‘non Pro’ version of this handset at $200/£140 as well as the IO Light, an $90 US-only device without 3D. There’s also expandable microSD storage, a headphone jack and dual 13MP/2MP rear camera (you get 8MP on the front). It’s micro USB rather than USB-C and it’s got Android Oreo rather than Pie, but at this price point that’s hardly unusual. Rokit’s first attempt at a smartphone has resulted in a perfectly serviceable device that sits just below the mid-range. The 3D content we've seen so far is also quite impressive. It’s a big shame then that the 3D display compromises the device for normal 2D use. We wonder whether Rokit would be better off dropping the 3D screen and doing a version of this phone that push Rokit’s other services rather than 3D.